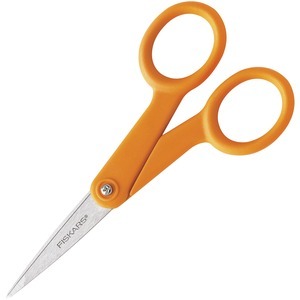 Small, sharp Micro-Tip Scissors are the perfect choice for making tight cuts, quick snips or cutting intricate details on fabric. High-grade, stainless steel blades feature a precision-ground edge that stays sharp longer and cuts all the way to the tip - essential for anyone who cuts fabric. A lightweight double-loop handle provides excellent control and allows right-handed or left-handed use.